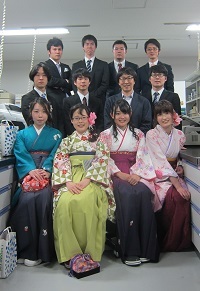 Hanami party (to enjoy cherry blossom and ...) was canceled due to bad weather. 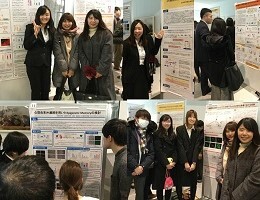 In stead, we went to the bar restaurant to welcome new lab menbers. 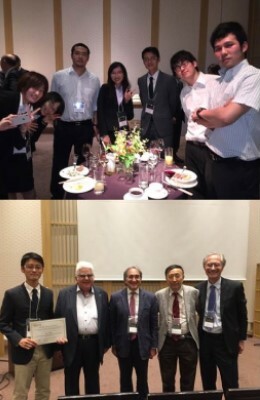 As for the scientific conference, 23rd Annual Meeting of ISCP, Dr Nakao was awarded for his presentation. 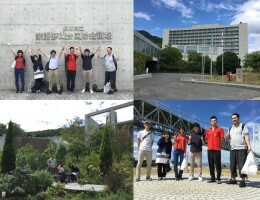 During summer vacation, some of master and doctor students participated in the joint retreat held in Awaji island. 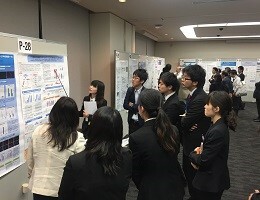 Lab members accelerated their research projects,and they successfully presented their achievements in the conference. 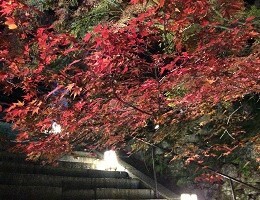 We went to Mii-temple in Ohtsu to enjoy the maple trees illuminated this year. After the year-end party,we went bowling!Let's guess our scores!? A master student from Thailand joined our lab to learn stem cell experiments in June. 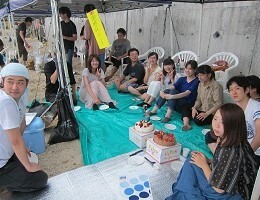 In August,we went the lake shore near Ohmi-Maiko to enjoy BBQ snd fireworks. A new school year in Japan begins in April. 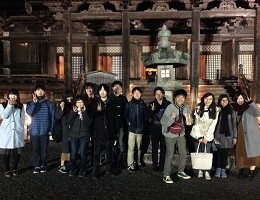 To enjoy Sakura,cherry blossoms,we went to Zeze castle park with new lab members,that is now an annual event in April. 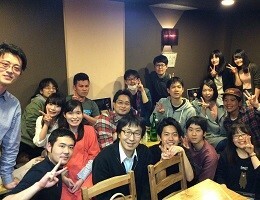 After the Sakura excursion,we went to the bar to welcome new lab menbers including Dr Nakao.